Congratulations Fall 2018 Division Champions! 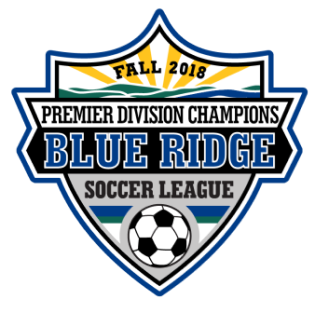 CONGRATULATIONS to all the PLAYERS on your team for winning the FALL 2018 BLUE RIDGE SOCCER LEAGUE CHAMPIONSHIP in your DIVISION. Your success required a lot of hard work, dedication, time, and commitment. The League congratulates every player for their individual efforts AND their Teamwork that won this Division Championship on the field. Critical to the success of your winning team are the Coaches, the Team Manager, and your Parents. I thank them (and ALL PLAYERS need to Thank them) for all of their time, their commitment to the players and to soccer, and their volunteer efforts that were a huge reason for your team’s success. Without their willingness to give of their time to support soccer there would be no youth soccer. Again, Congratulations from ALL of us at the Blue Ridge Soccer League to ALL of you for your success in BRSL soccer.